They’ve got less meat on them than a chicken McNugget. 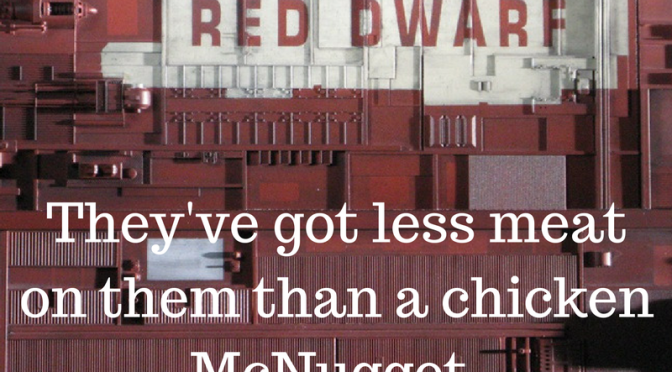 A quote from Red Dwarf series 2, episode 1 called ‘Kryten’. 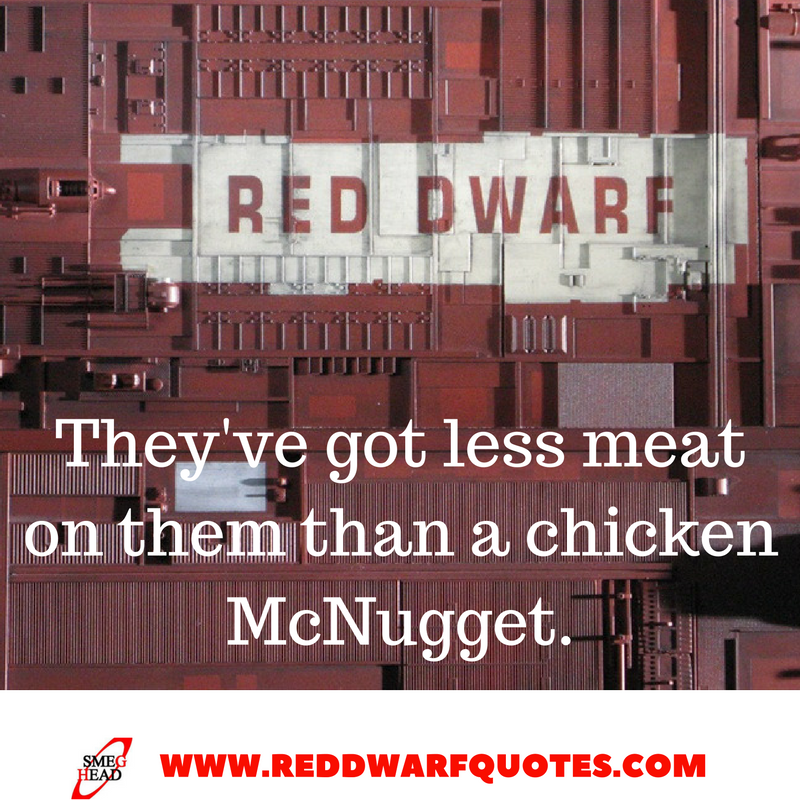 This Red Dwarf quote is from the episode where we first get introduced to the character Kyrten.